Before he even gets home from school, Gavin’s stomach is grumbling. While sitting on the school bus, Gavin visualizes the cupboards at home thinking about the snack they might hold for him. After all, growing boys like to eat, and they like to eat a lot – but he’s not picky. He just hopes that there will be something in the cupboards to eat when he gets home. Because of charitable donations from people like you, we can help kids like Gavin and thousands of our community’s residents each year with food, medical equipment, shelter and energy assistance. Thirty-three percent of those we serve are children. Every dollar donated provides five pounds of food to someone that is hungry. 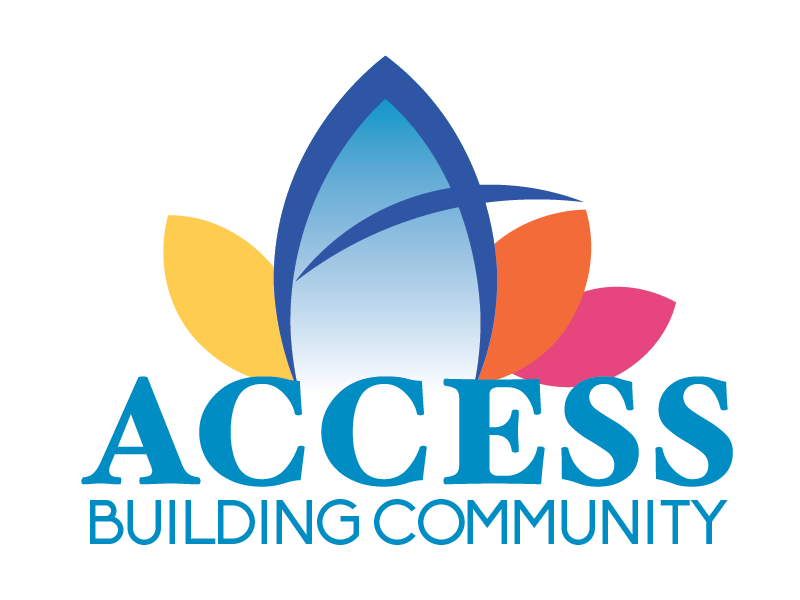 At ACCESS we strive to develop and strengthen long-lasting relationships within our community. Donors like you and Community Partnerships are our most valuable resource and without these relationships ACCESS could not operate. ACCESS is a 501 c3 nonprofit organization (IRS Tax ID# 93-0665396) All donations to ACCESS are tax-deductible per the IRS code. No goods or services are provided in exchange for your donation. Money or Credit Card donations can be made in person, mailed to the address below or by phone. Your employer may match your gift. You may be able to double or even triple your gift to ACCESS. Many companies will match (all or in part) your charitable donations to qualified organizations. Please contact your Human Resources Dept. for information on forms and for their guidelines/restrictions for completing your matching gift request. Some companies provide an online application process (active and retirees), so be sure to check with them. You can also send your form in with your donation. ACCESS has an Endowment Fund which is professionally managed by the Oregon Community Foundation. The endowment fund provides a steady income to help offset our general operating costs, fund new and innovative programs and help provide for a healthy financial future. Your charitable gift to the endowment fund is invested by ACCESS. The principal remains intact, while the earnings/interest can be used to support our programs. You can direct your endowment fund gift to a specific program or make it unrestricted. You can also name your endowment gift ($5,000 or more) in honor/memory of a loved one or special person. Did you know that you could leave a larger gift and help more people for years to come with a Legacy Gift to ACCESS in your estate? Estate gifts enable you to make charitable contributions that will maximize your personal objectives. Legacy gifts can help those we serve now, in the future AND provide you with a charitable income tax deduction – avoiding or minimizing capital gains taxes, reduce estate taxes, or provide you with income for life. For more information on ways to give through your estate or to request a brochure call 541-690-3974. ACCESS depends on partnerships with our local businesses. We want to have a win-win relationship with you. As a sponsor, your company can receive recognition and marketing benefits while supporting ACCESS. We host several events during the year that can provide your business visibility to the community and other businesses. We can customize corporate sponsorship packages for your business/company that includes multiple events and recognition opportunities throughout the year. Your sponsorship can also include volunteer help from your employees or support from your clients/consumers through a company fundraiser. Cause Marketing results in a mutually beneficial agreement between a business and a partner/nonprofit such as ACCESS. We would welcome the opportunity to talk with you about a Cause Marketing promotion. You can donate appreciated stock/securities and receive tax benefits—and generally avoiding capital gains tax. If you would like more information on making a stock gift, please contact us at 541-774-4312 or contact your financial adviser. 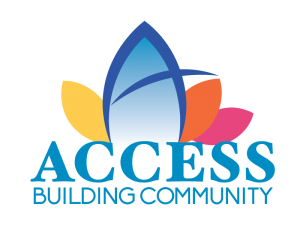 ACCESS depends on partnerships with individuals and local businesses to raise necessary funds to operate our programs. If you, your organization or company would like to create and host a fundraising event or food drive, please contact us at (541) 774-4323 to make arrangements. In addition to cash or stock gifts, you can donate items such as food, equipment , vehicles and other items (see wish list page). Your donation of a gift in Memory or in Honor of a friend or loved one is a special way to acknowledge them, while helping others and supporting ACCESS. We will send an acknowledgement to the person or designated person/family member to notify them of your thoughtful gift. No amounts are mentioned. When making your gift, please mention the name of the person you are honoring/remembering and the name and address of the person to receive the acknowledgement. Where shopping and giving unite. You can support ACCESS just by shopping at Fred Meyer with your Rewards Card. All you have to do is link your Rewards Card and scan it every time you shop at Fred Meyer. Whenever you use your Rewards Card when shopping at Freddy’s, you will be helping ACCESS earn a donation from Fred Meyer. If you do not have a Rewards Card, you can sign up for one at a Customer Service Desk of any Fred Meyer store. Fred Meyer donates $2.6 million each year – up to $650,000 each quarter – to the local schools, community organizations and nonprofits of your choice through their Community Rewards Program.